Tall, blond and female, Kristin Shute stands out a bit. When she arrived in Baja in January 2013, she spent her first week in the vineyard pruning in the rain. Her neighbor later told her that she wanted to take a picture of Shute working because “seeing agringa working in a field in Mexico, you don’t see that happening.” Now, more than three years later, this is the valley that she calls home. Shute is from Ventura County and grew up visiting Mexico with her family. After attending culinary school in Santa Barbara, she worked at the Wine Cask in Santa Barbara. She also ran a guest lodge on a dude ranch where she met her husband Adam Shute, a traveling cowboy. While her husband was taking people on pack trips and trail rides and training horses for movies, Shute was managing meetings and events at Bacara Resort in Santa Barbara. Shute’s father Ray Magnussen, a native of San Diego, and his wife Patty were looking for a retirement retreat. During a trip to Baja, after a meal in 2003 at Laje Restaurant, the French Laundry of Mexico, they took notice of the Valle de Guadalupe. The next morning, on their way back home, they noticed that the lot next door to Laja, an overgrown wheat farm, was available. They purchased the property with the idea of opening a bed and breakfast. However, after spending many late nights in the wine lab of their former neighbor Cuahutemoc Santana, a local agronomist, Magnussen was bit by the wine bug. He studied at UC Davis in the winemakers abroad program and instead of building a bed and breakfast, he planted the entire 2.2 acres with vines in 2005 and had his first vintage in 2007. The 2008 vintage was called the Wedding blend and was made entirely for Shute’s wedding. Shute’s mother did not see the immediate benefits of this investment. Realizing that it was a continual investment, she was “about ready to call it quits in 2012,” Shute explained. She enticed Shute and her husband to come down to Baja for a weekend, and wined and dined them. “They took us out to eat. We drank too much beer and ate fantastic food at Javier Plascencia’s restaurant. We came back home, showered and went to Deckman’s, a Michelin-star restaurant at the Mogor winery. After an eight-course dinner, wine, mescal and beer, my parents caught us in a weak moment. They asked us if we wanted to take over the business.” It was really to take over her father’s hobby and make it into a business. Shute and her husband decided to take it. Shute and her husband relocated on January 21, 2013. Lechuza Winery is named for the native western burrowing ground owl that lives in the ground and helps regulate vermin. When Shute’s grandfather, a Baptist minister, baptized the land, there was a small family of lechuza on the land and they decided to pay homage to them. Shute’s husband still goes out on the road as a traveling cowboy for six weeks each year before harvest. He then comes home and works in the cellar while Shute works in the lab. Her father, along with a consultant, makes the wine but perhaps one day she will take over. 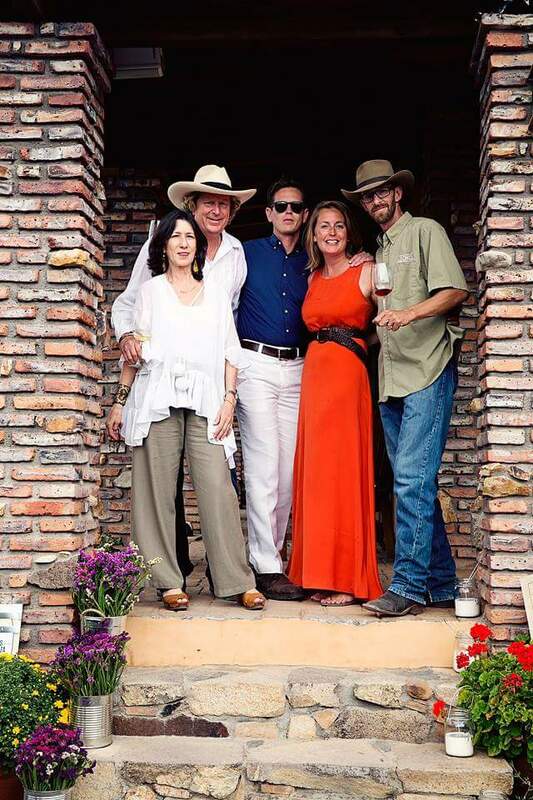 This entry was posted in Lifestyle, Travel, Wine and tagged Adam Shute, Baja California, Baja winery, Camilo Magoni, Kristin Shute, Lechuza, Mexican wine, Mexico, Napa Valley Register, Valle de Guadalupe, Wine by Allison Levine.